Blizzard has been doing data dumps of the upcoming Warlords of Draenor expansion recently and been releasing screenshots and answering questions. Here’s some stuff on one of the coming dungeons. Warlords of Draenor Dungeon Screenshots! 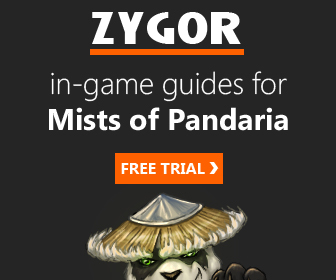 One of the oft mentioned complaints by “we the fans” has been the lack of dungeons in Mists of Pandaria (and earlier.) Especially since there will be little or no new content coming in the several months before Warlords is released. So we’re left with repetitive dungeons (already been through them,) leveling and gearing up alts, and PvP Season 15. I think there will be a lot of suspended accounts till shortly before the expansion, but we’ll see. Anyway! Screenshots of the first dungeon Bloodmaul Slag Mines have been released. This is one of seven dungeons that will be available when the expansion launches, with more to be added later. WarlordsOfDraenor.com redirects to the Battle.net page for Warlords. That page covers most of the basics. You’ll see videos for the announcement and a couple of the starting zones. Before the orcs first invaded Azeroth, the Iron Horde rose to dominate a historic age. 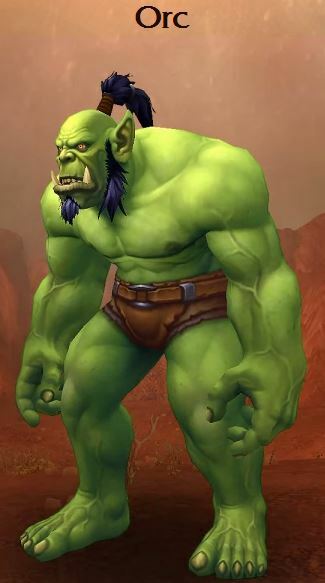 Only the heroes of past and present still defy the warlords of Draenor. Through a refined, flexible questing system, you’ll meet storied heroes and villains in battle without slowing your exploration of a forbidding land. As you and your allies win victories, you’ll be duly rewarded—any quest can randomly award bonus rare or epic items. Stand beside legends. Break the tide of steel. Insta-level one alt to 90 once you have another character at 90. A custom series of quests will let you “train” that character. Part of the point of the expansion is to block the Iron Horde from taking over everything and you will be able to build your own garrison to help do just that. Recruit followers to man and guard the thing and those followers will be able to run missions for you. You will be able to meet a number of legendary characters on your way to 100 and your efforts to stop the that Horde. “Draenor is a land of magma and metal, stone and steam. City-forges wrap her twin moons in smog, and wheels deform the earth…” Sounds a bit like Mordor, but in reality it’s the old Outlands, before the more modern changes, when the Orcs and Draenei warred..
Warlords of Draenor introduces a new world PvP zone off of the north east coast of Tanaan Jungle. This new experience involves a raging battle that has no distinct beginning or end—instead, it offers constantly evolving objectives for participants to take part in. There will be items to gather, creatures to summon, and tons of action on multiple levels. While you can enter the fray sooner than level 100, you may find yourself biting off more than you can chew—enter at your own risk! Looks like it’s being set up as a “constant war” sort of thing. Goals get tougher as you get close to the enemy base, so maybe if one side is dominant it won’t be the overwhelming dominance seen in some games. I trust Bliz to get that right, or pretty close. More here. While you’re pondering all this you might want to get some alts leveled up. Believe it or note there will be new raids and dungeons added. One of the new system tweaks will be to have a gearing tier below Heroic dungeons so that the heroics won’t be the first thing one jumps into at level 100. It’ll allow Bliz to make them a bit more difficult, which should please a few people and frustrate others. There will also be added dungeon content as the expansion continues. It looks like Blizzard is quite pleased with the Flex Raiding experiment in 5.4, so now they will expand on it, which should open things up to small guilds and more people. We shall see. The progressing will be Raid Finder to Normal to Heroic to Mythic. Mythic is the only one that doesn’t flex, as Bliz feels it would be too much work to fine tune it to varying group sizes. It will be a riad for the best of the best. Heroic 10 and 25 become Mythic 20. See here for more on the new dungeons and raids, including loot changes and so on. The Quest log is going to be updated to make it easier to find where to go and what to do. It won’t be Zygor’s guide, but it’ll be an improvement over what exists now. Inventory is something that people have been hollering about for some time. Bliz listened and is going to remove a lot of clutter. Quest items are no longer stored in your bags, but in a separate UI space. Not only does this clear up the clutter it makes it hard to accidentally delete quest items. A bag sorting system will be implemented, so you can assign bags to hold consumables, armor, etc. Itme will also have borders indicating item quality and items that are safe to vendor away (grays) will have a gold coin icon. Craft directly from the bank, so you no longer need to have the stuff in your bags. Collections are where your heirlooms, toys, and maybe tabards will be stored. They’re much like the current pet/mount storage and are accessible by all characters on your account, across servers. Heirlooms will no longer be server bound, but will now be truly account bound. In addition, you will be able to tell which heirlooms and toys you still need to get to fill your collection. More on the UI stuff, here. Yes, you will be able to make your own bases and man them. Followers will be recruited as you advance and they will be able to perform a number of functions, including resource gathering. Your followers will level up and will be available, eventually, in several “levels,” including epic. Better quality followers can have more traits than more common ones. Followers will be able to go on missions, level up, get geared, and so on. You might even have to rescue them from time to time. This brings up the question: Will it be possible to, ultimately, have all epic followers? Your base will consist of several types of buildings that you can put up and upgrade. Better buildings will provide better perks, such as a better barracks allowing you to send more followers on a mission. As your garrison levels up you will be able to improve the number, size, and quality of the buildings. Players on the same faction will be able to interact with your garrison and you will even be able to trade materials. At level 90 you will be able to have access to the Dark Portal, where you will be able to help save Azeroth from new dangers. To help in this you will be able to insta-level one character to level 90. It will then go through a series of quests to train the new abilities. Horde and Alliance will take different paths through the portal to accomplish the mission of stopping the Iron Horde. There will be a new set of level 100 talents to learn and probably changes to most of the other talents. It’s looking like there will be an item squish so the numbers will not be nearly as extreme as they have become. No more Bear Druids with a million HP. More on leveling, quests, the new zones, and so on. Looks pretty awesome, doesn’t it? Blast through Warlords when it goes live.